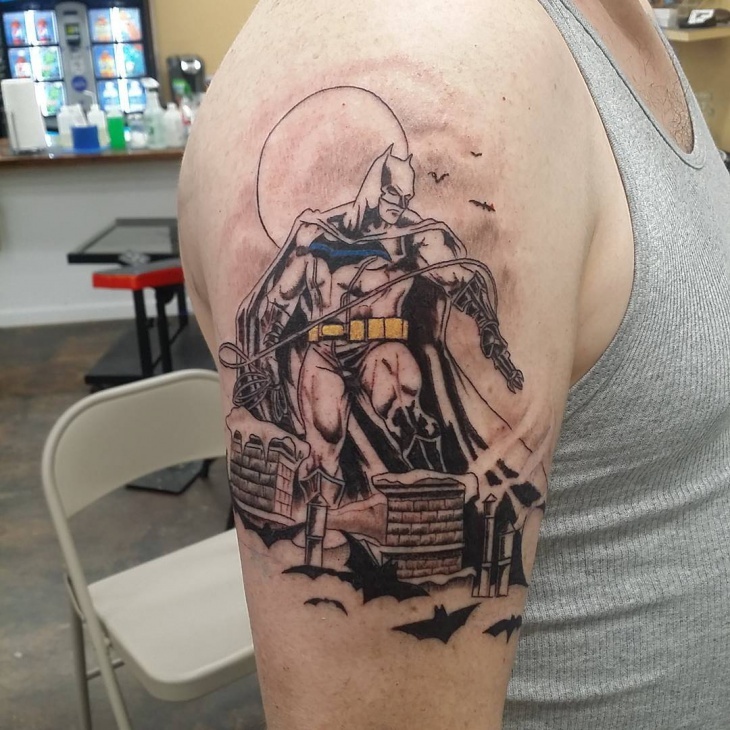 This Batman Chest Tattoo is a black and white abstract tattoo. 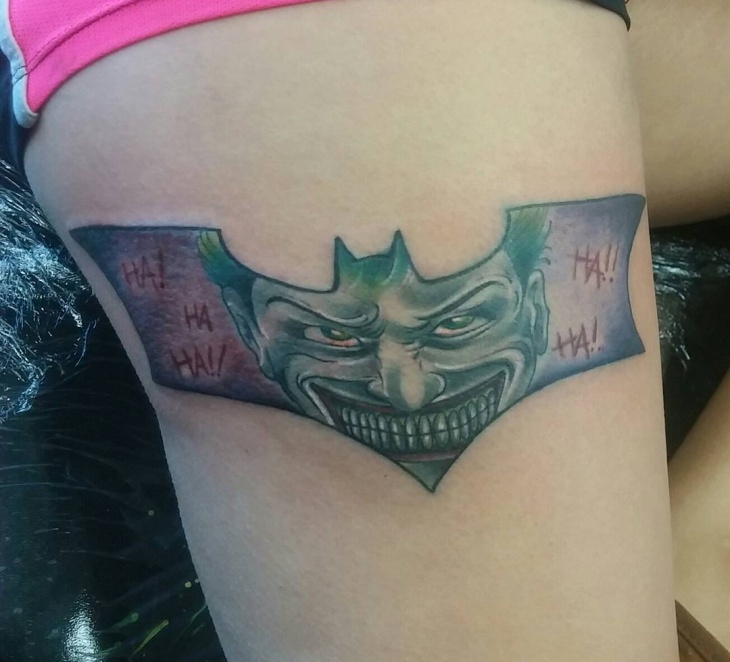 It features the black bat logo with the Joker’s famous ‘Ha ha’ line appearing to fade continuously on one side of the logo. 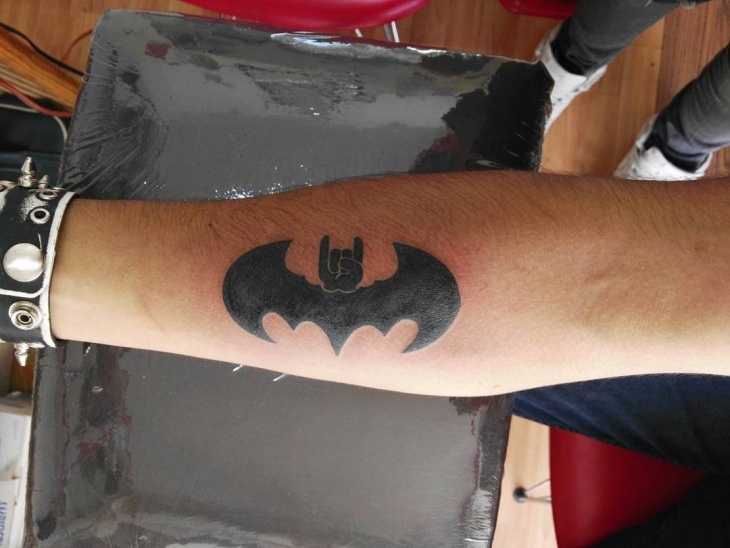 It is a symbol of Batman vs Joker, one of the best tattoo designs for men out there. It should be designed around the chest or back. 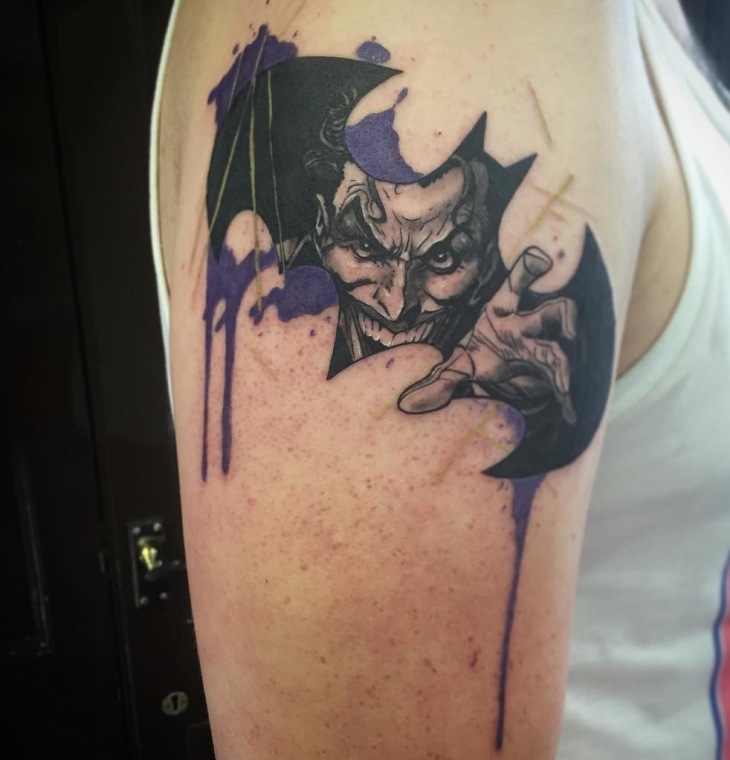 The original Batman vs Joker logo, this tattoo features the popular Bat logo with the Classic smiling Joker’s face appearing in the center of the tattoo. It is a pagoda style color tattoo. 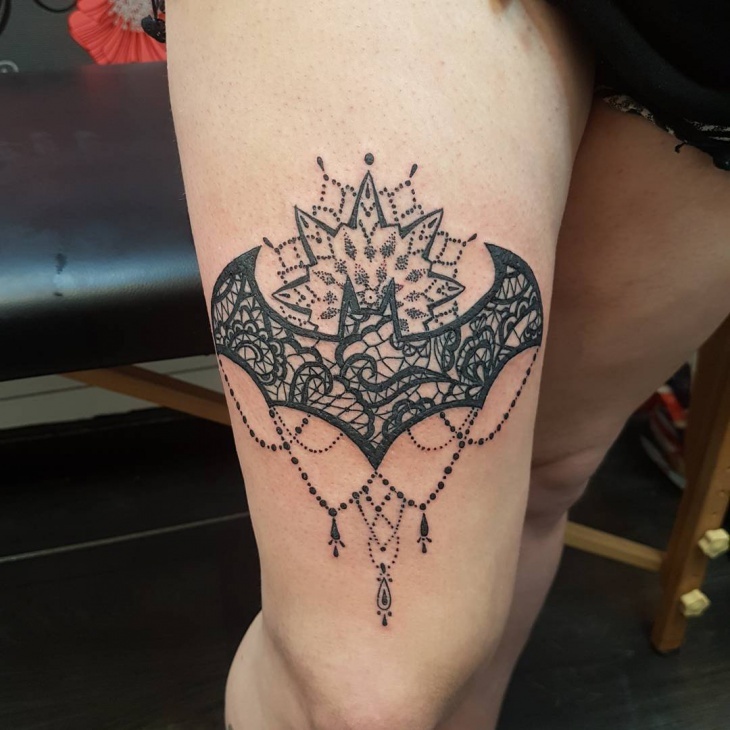 This design is usually picked up by women and should preferably appear around the thigh. This is more of an abstract, gothic tattoo and is a popular tattoo design for men. 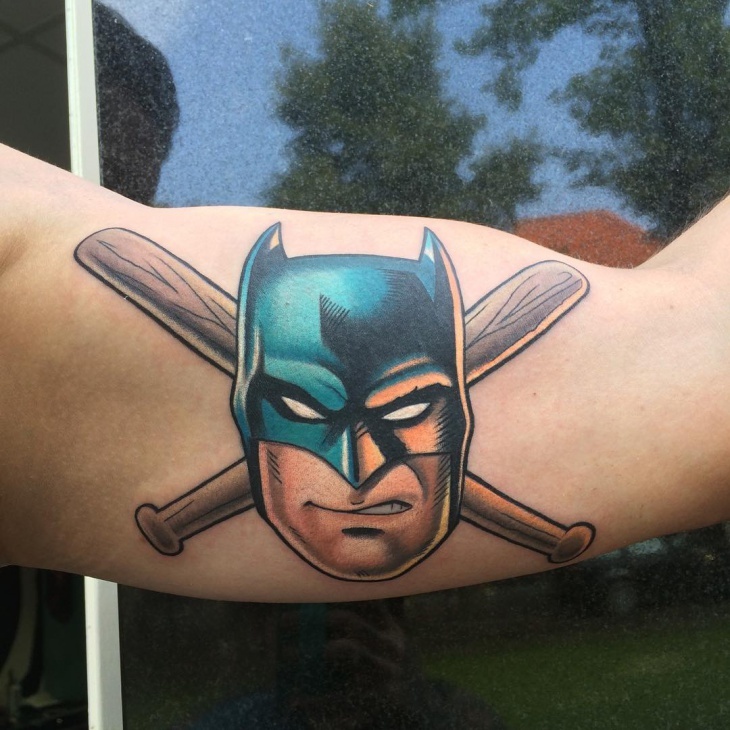 It features the bat logo with the Joker right in the center appearing to come out of the bat logo. The bat logo is seen bleeding purple. This will make an amazing shoulder design. 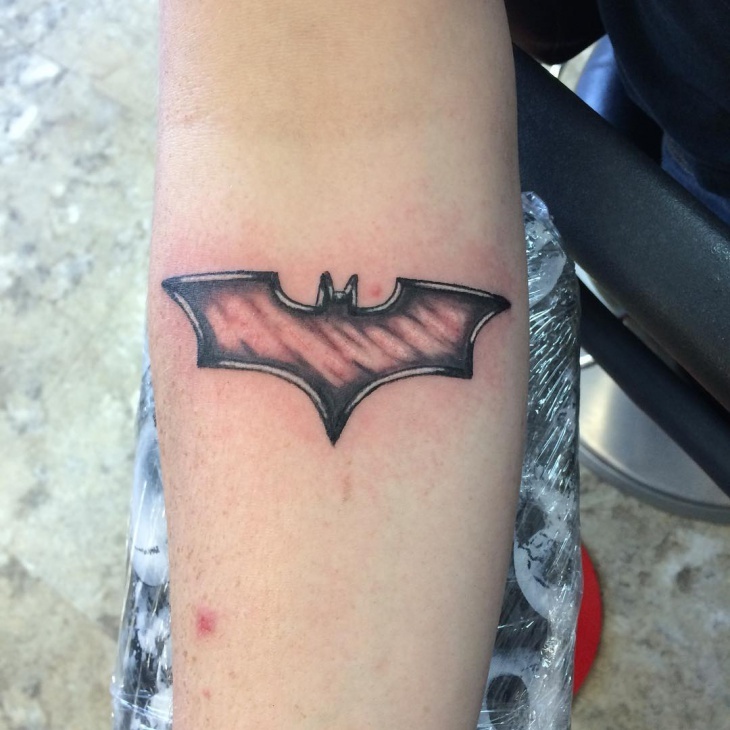 This is a color tattoo design for men that come from the Batman Unchained series. 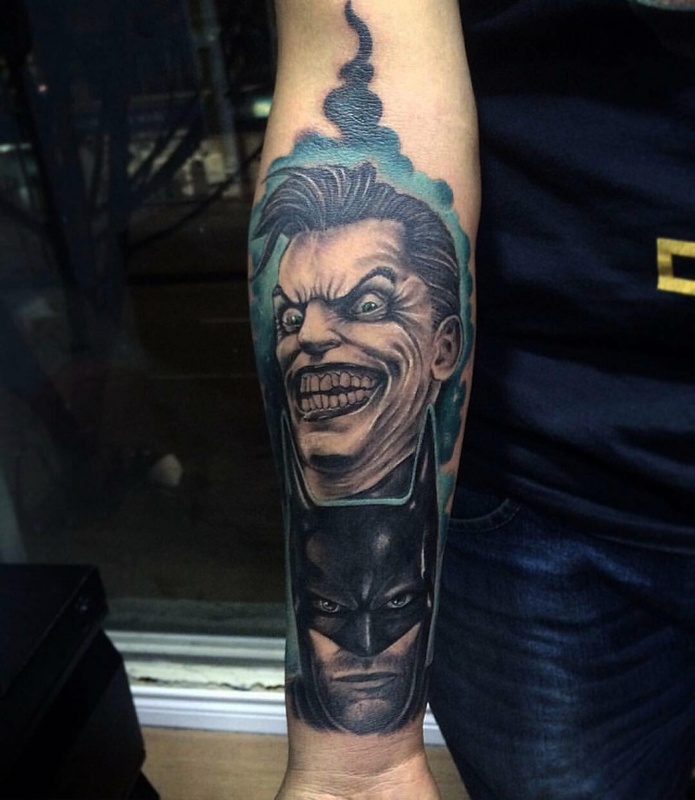 It shows the Joker smiling with Batman right below. A purplish blue smoke appears in the background. 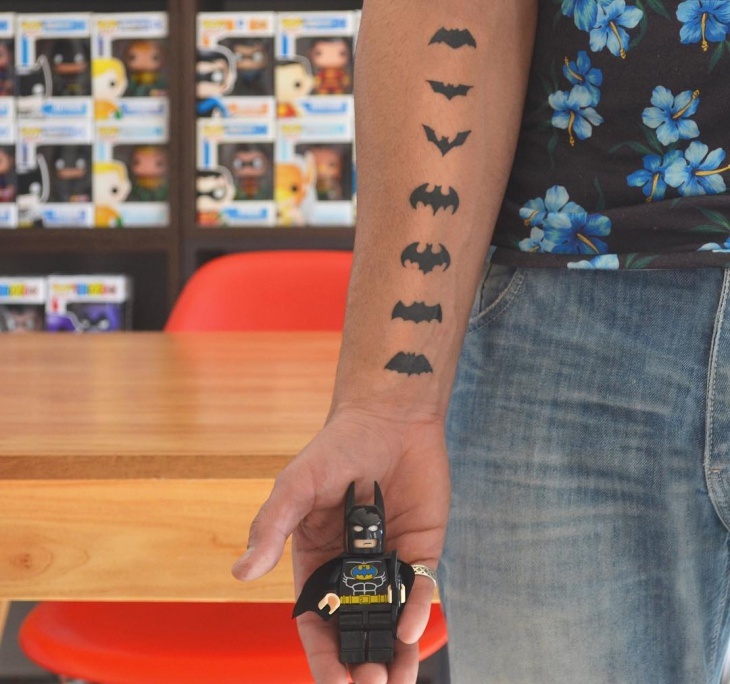 The tattoo can start from the forearm and go all the way down to the wrist. 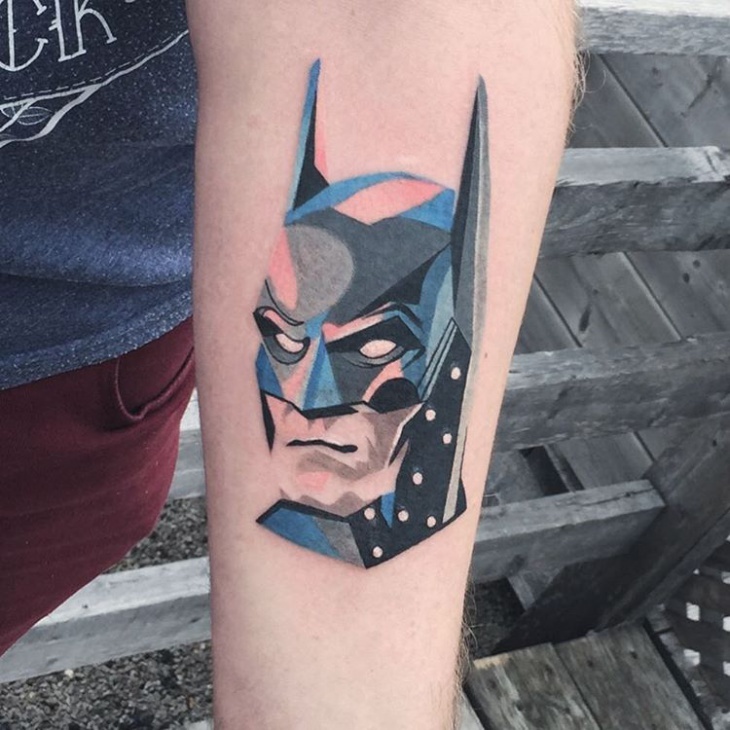 This is a color tattoo featuring one of the oldest Batman illustrations, with Batman’s face and two intersecting bats in the background. It should be placed around the bicep area. One side of Batman’s face is slightly illuminated by a light orange hue. 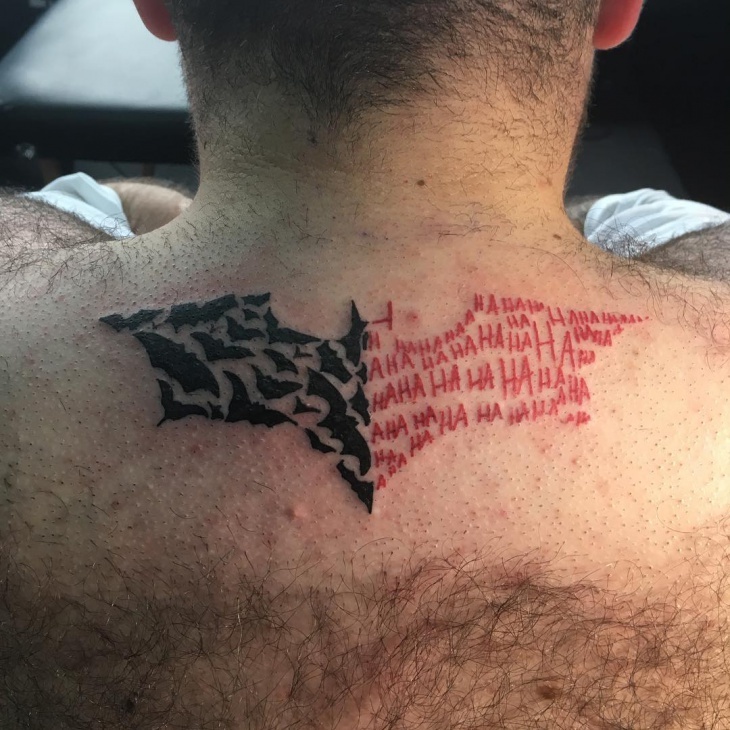 This is a creative design that shows the Bat Signal, showing small black bats that come together to form a half of the bat signal and the other half shows off the Joker’s ‘Ha Ha’ in small red letters; another Batman vs Joker illustration. The black and red come together quite well to form the bat symbol. 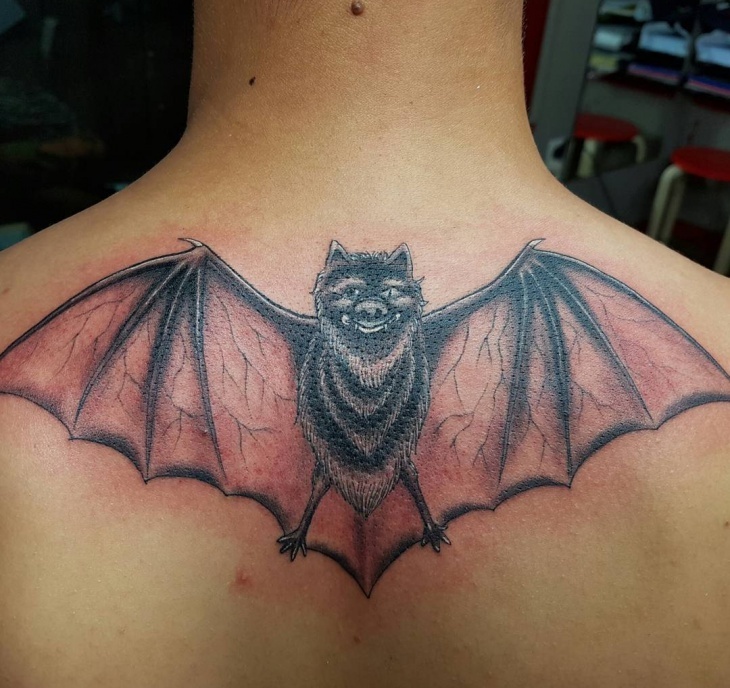 Typically this tattoo is to be placed below the neck but can be designed anywhere else as well. 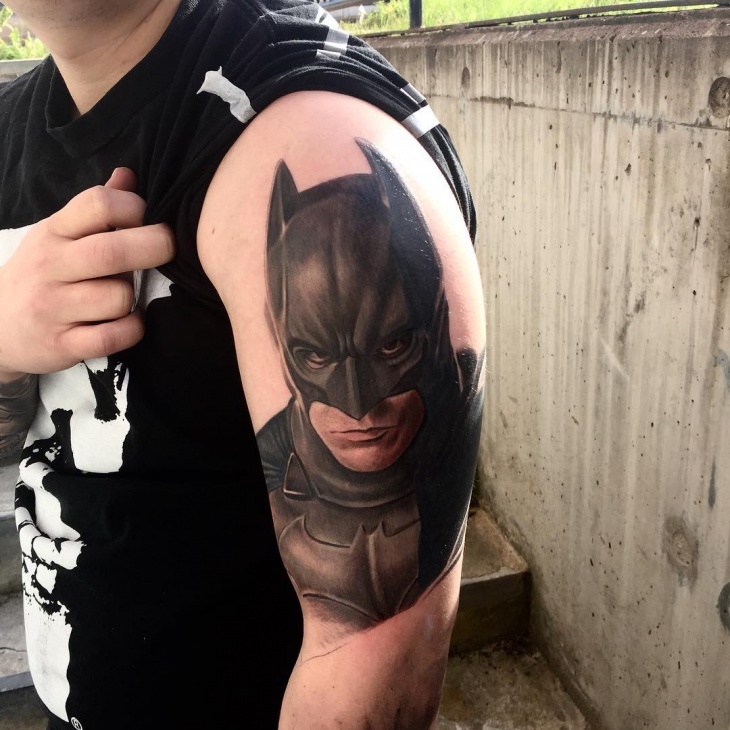 This is more of a Batman movie illustration, and is made to look almost real. 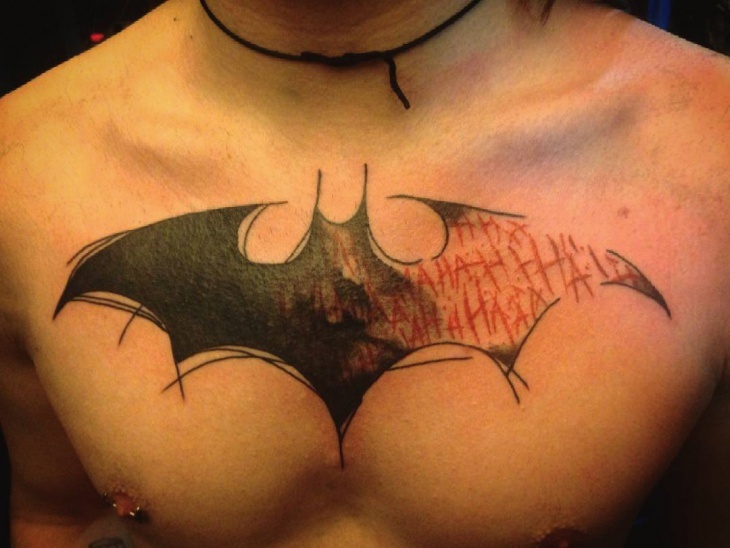 This is a shoulder tattoo of The Dark Knight which can come up to his torso. 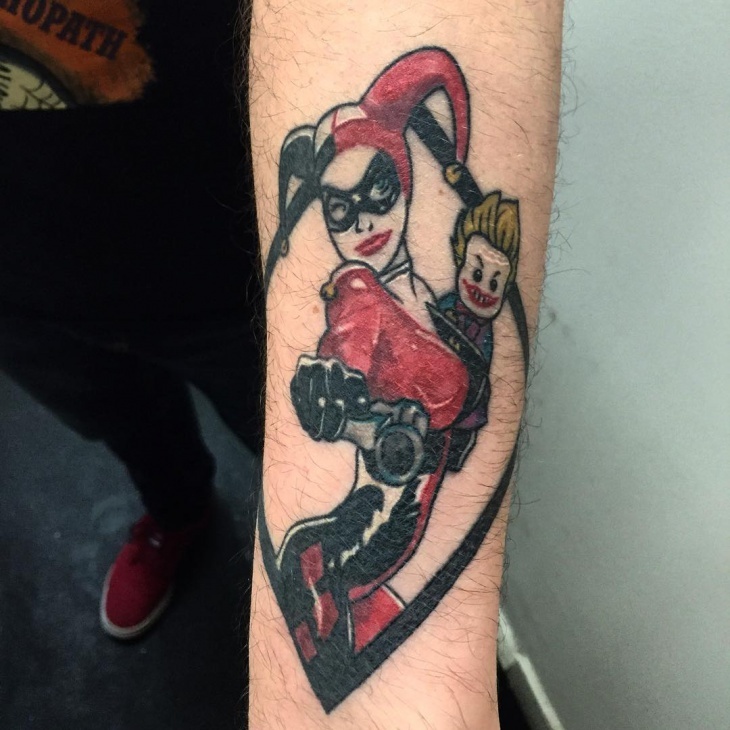 While it is a color tattoo, there are very few colors in the tattoo. Special attention needs to go towards getting the mask, cape and the suit right. 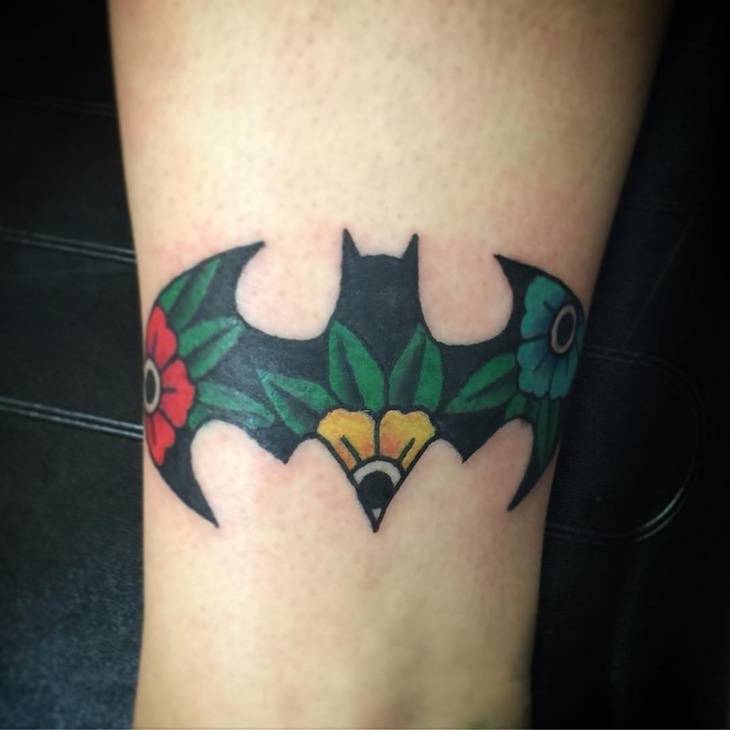 While this may not appear like the traditional bat tattoo, it is more of an abstract take on the bat symbol. It should appear around the thigh region, but can be placed around the biceps as well. There is a lot of design with bead and lace patterns. 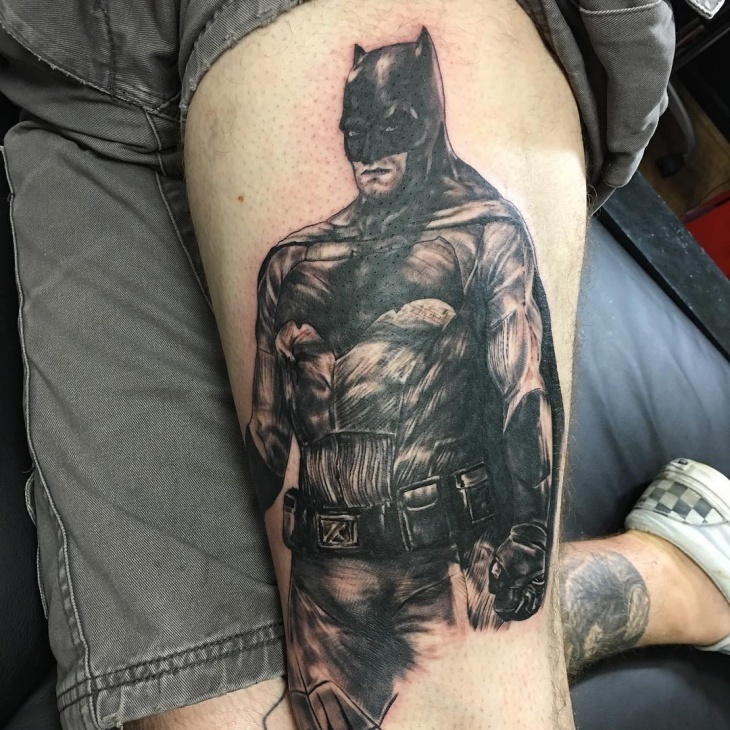 It is a black and white tattoo. This is one of the more serious takes of The Batman Mask. This is an interesting selection among tattoo designs for men: a portrait tattoo. 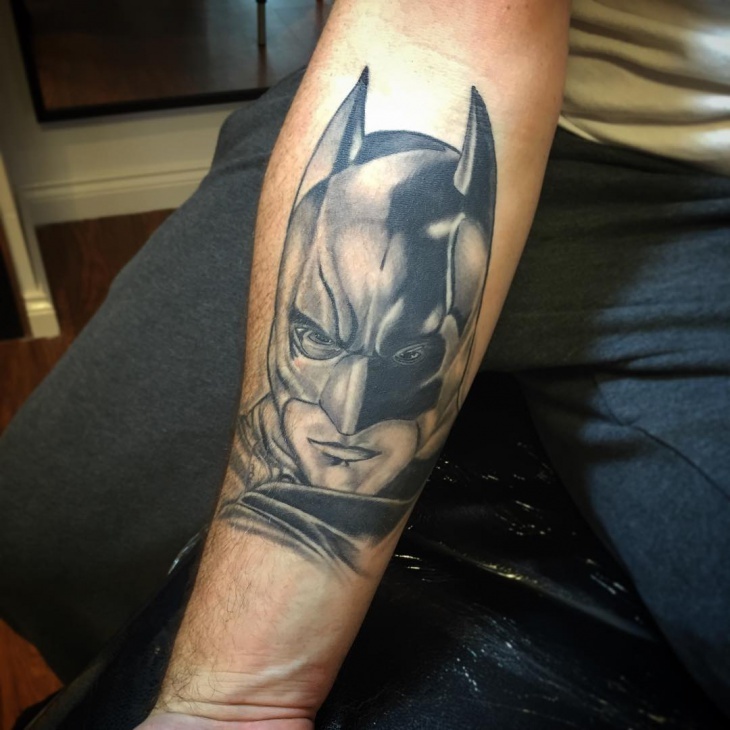 It is a Black and grey tattoo and it is best displayed on the sleeve or forearm. 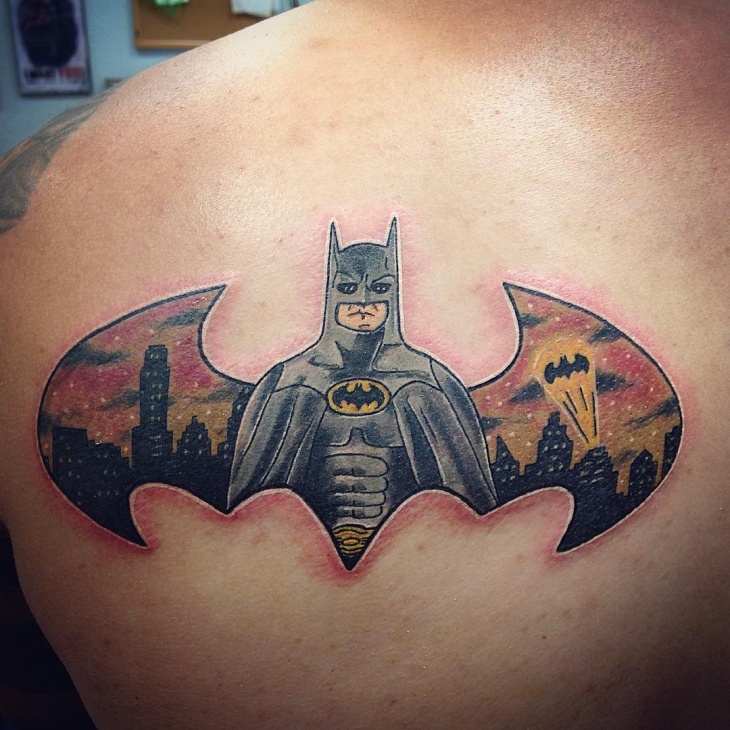 This design is the most common among Batman tattoo designs for men. 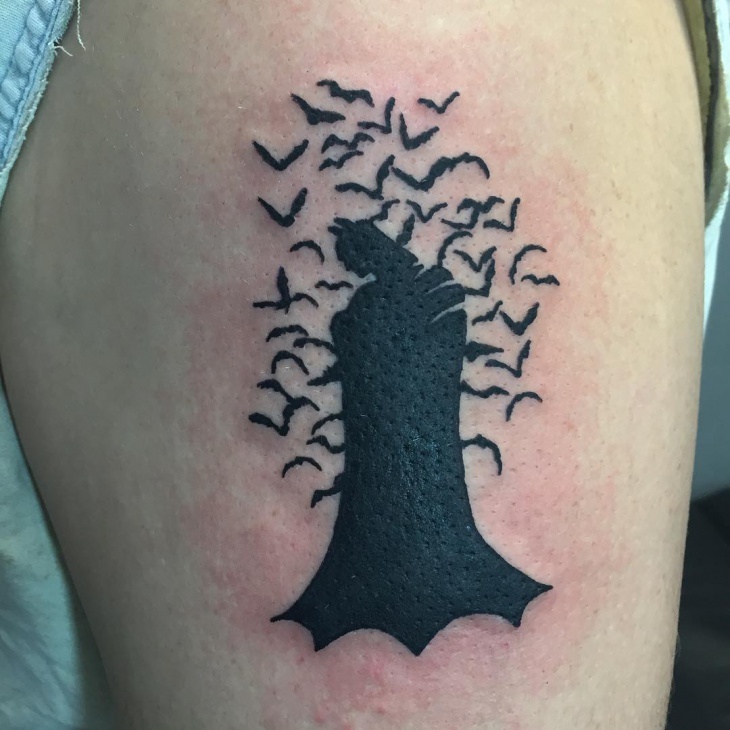 It shows a regular bat symbol shaded with black. There is a fade in the inner end of the batarang. It involves skill to get this right, but it isn’t the hardest design. 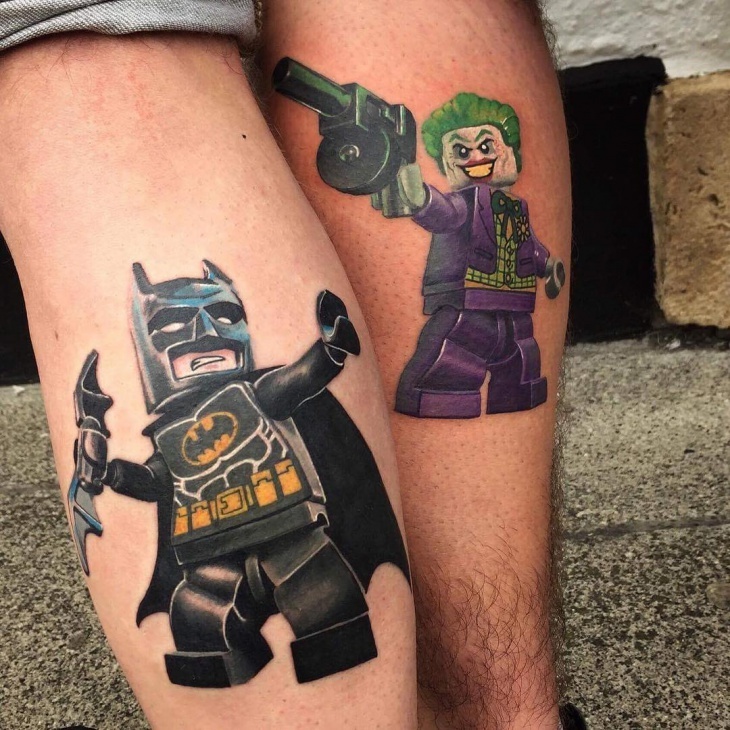 The Batman series tattoos normally come under the comic geek tattoo category, however due to The Caped Crusaders popularity not just in the comic world but in films as well, it is a common choice for many. Even the Joker is quite famous among Comic book lovers.